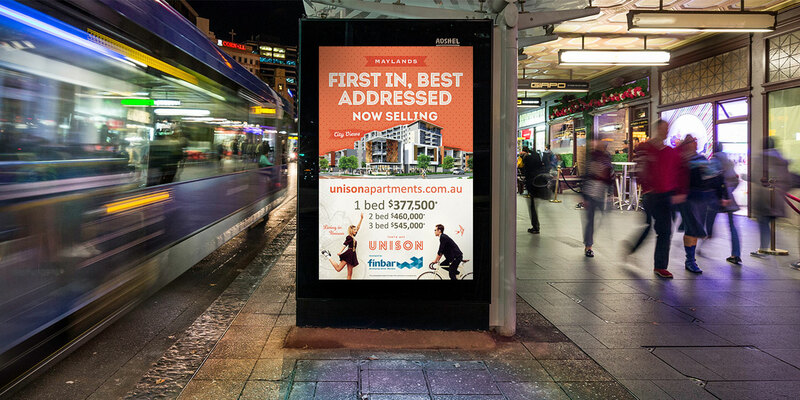 Unison apartments, as the name suggests, was a dual-phased development launch by the property group Finbar. 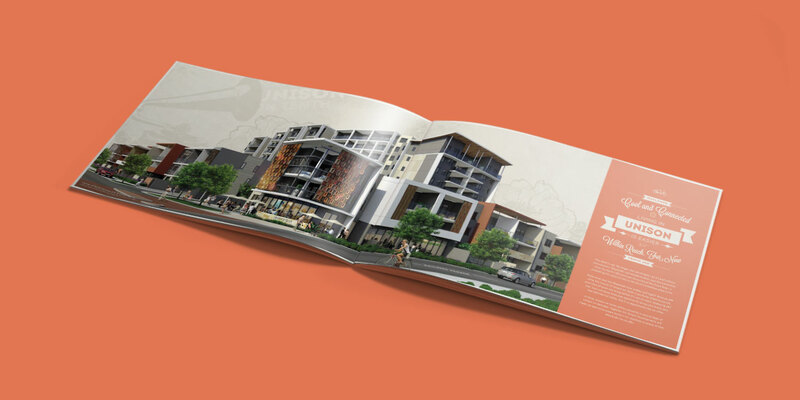 Located in Maylands, the development consisted of two buildings with separate launch dates – The first being Unison on Tenth and the second Unison on Kennedy. The creative was strategically developed to run synonymously between the two stages. 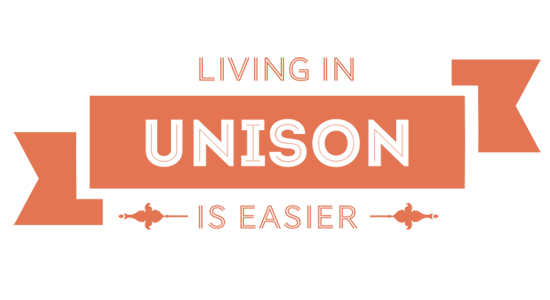 The brand targeted young first home buyers with the use of bright colours, trendy hipster inspired imagery and typography. The integrated campaign consisted of print collateral, press, outdoor, direct mail, online and television. Posters featured at the bus stops in Perth. 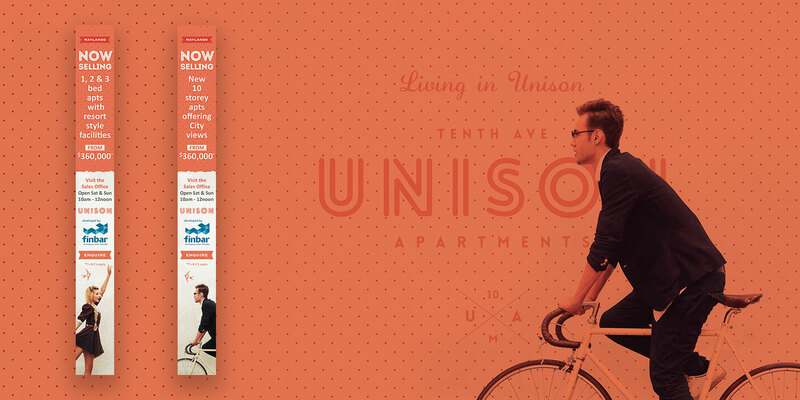 The brochure reflected hipster elements utilising iconic language, imagery and colours. 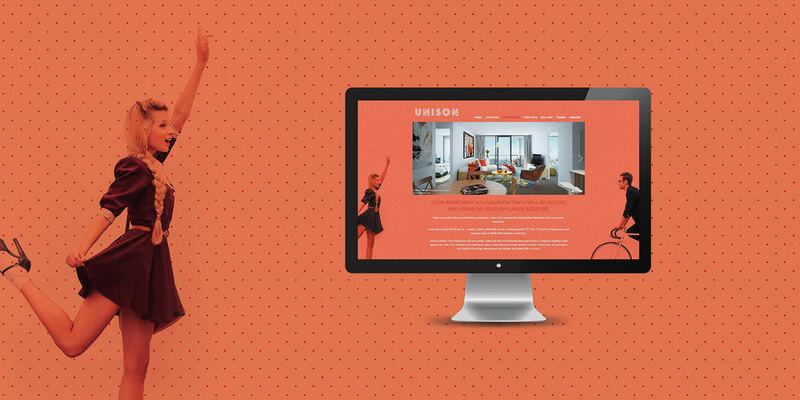 The tag line ‘Living in Unison’ was depicted through animated banners of the hipster couple meeting and coming together.